Just a couple of weeks ago, we watched the police in Cannes seize a brand new Ferrari 458 Spider after the driver parked his car illegally on the streets. Well, just when we thought that the impound lot at the Cannes police department couldn’t get any nicer, it looks like that sweet Ferrari convertible will now be getting some company. Footage has just surfaced of the police scooping another beautiful sports car straight off the streets of Cannes. 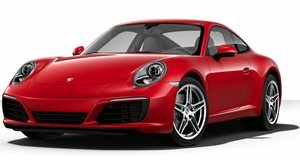 This time the culprit is a brand new $150,000 Porsche 991 GTS.